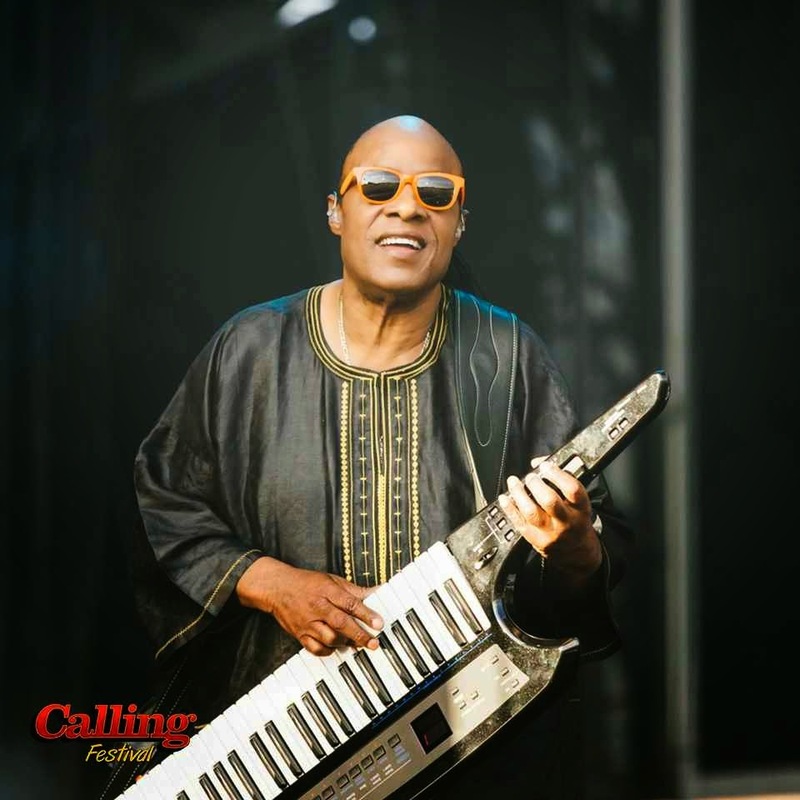 Live Nation have announced that Stevie Wonder, one of the most celebrated and prominent figures in popular music, will headline Sunday 29 June 2014 at Calling Festival in London, while Richie Sambora will join the Aerosmith lineup on Saturday 28 June. The two-day event will take place in Clapham Common on 28 & 29 June 2014. Tickets are on sale now and are available at www.livenation.co.uk or www.ticketmaster.co.uk. Stevie Wonder will astound crowds in Clapham Common this summer with a live show packed with unequivocally classic songs on Sunday 29 June. Renowned as a live performance tour de force, Stevie Wonder’s unmistakeable music will be a perfect closing headliner to the an amazing weekend of music. Joining the Saturday 28 June lineup is American rock icon Richie Sambora, known for his raw vocals, indelible songwriting and world-class guitar playing. His performance will feature special guest, Australian singer-songwriter and guitar goddess Orianthi. Earlier this month Aerosmith were announced to headline Saturday 28 June at Calling Festival, with Thunder, Joe Bonamassa and Walking Papers also confirmed. Stevie Wonder is the first act to be announced for Sunday 29 June, with many more exciting additions will be announced over the coming weeks. Calling Festival has taken the established Hard Rock Calling festival and given it a fresh new twist at a brand new home. The festival, held at London’s Clapham Common, will feature multiple stages with 20 of the hottest acts in rock and pop performing each day, some exciting surprises and amazing on site facilities including an array of food stalls, funfair and much more. Previous ‘Calling’ headliners have included Bon Jovi, Bruce Springsteen, Neil Young, Paul Simon, Pearl Jam, Paul McCartney, The Who, Rod Stewart and Stevie Wonder. Further artist announcements for Calling Festival to follow soon, approximately 20 acts across multiple stages. South London rock fans with specific local postcodes will have the opportunity to purchase local resident tickets, available on a first come first served basis for one week after general on-sale. Visit www.livenation.co.uk or www.ticketmaster.co.uk for details.